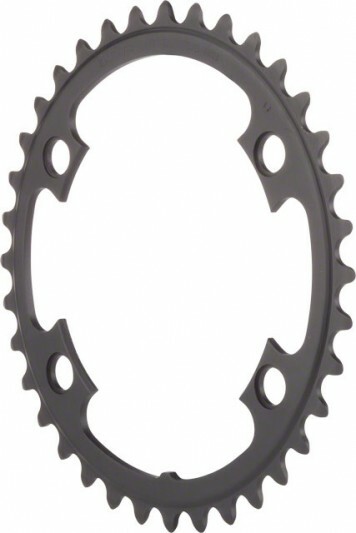 Here is the chainring you’ve been looking for if you have the new Shimano 4 Bolt crankset on your cyclocross bike. Perfect mate for the 46T Outer Ring, this features Shimano quality and shifting performance that you can depend on during that next race or event. Chain Compatibility: Shimano 11, Chainring BCD (mm): 110 Asym mm, Color: Dark Gray, Material: Aluminum, Ring Position/Type: Inner, Teeth (teeth): 36 teeth. Best used with the Shimano 46T Outer Ring and Shimano Bolt Covers.